We always associate wireless router to a black box with multiple antennas poking out. ASUS tries to change this with the Blue Cave. ASUS Blue Cave is a high performance wireless AC2600 router with no visible external antennas. Not to mention that it has a hole in the middle for aesthetics reason. Contrary to popular believes, having external antennas doesn’t mean the router coverage is really good. In fact, Enterprise WiFi access points almost never had visible external antennas and they absolutely destroy consumer routers in terms of WiFi speed and coverage. ASUS Blue Cave features a dual-core processor by Intel instead of the usual Broadcom chipset ASUS normally uses. The router can support Wireless AC up to AC2600 with a 4×4 configuration. Besides, the router is MU-MIMO capable and supports Beamforming. Hidden inside the router is the precisely engineered antennas. They are designed for really good signal coverage despite being hidden inside the router. It takes into account on how we hold our portable devices in multiple orientation by having one of the antennas specifically in a horizontal direction. This will be helpful especially when we use our phones when laying down on the bed. All these mean that the Blue Cave performs really well with strong WiFi coverage and fast WiFi speed even at longer distances. Our only complain with the Blue Cave is the lack of status indicators. The entire router only have 1 LED to indicate the status. Blue means it is working fine and red is faulty. ASUS Blue Cave features the ASUSWRT firmware which a lot of you guys probably know it for the best router firmware and it is still true here. It comes with a ridiculous amount of features and customization. There are a lot you can do with this wireless router. We selected a few key features to features below. ASUSWRT is also by far the most stable router firmware with constant updates from ASUS. It is still relatively easy to use with clear and simple navigation. We particularly like the AdaptiveQoS feature which is very effective in dividing the resources when more devices are connected to the network. 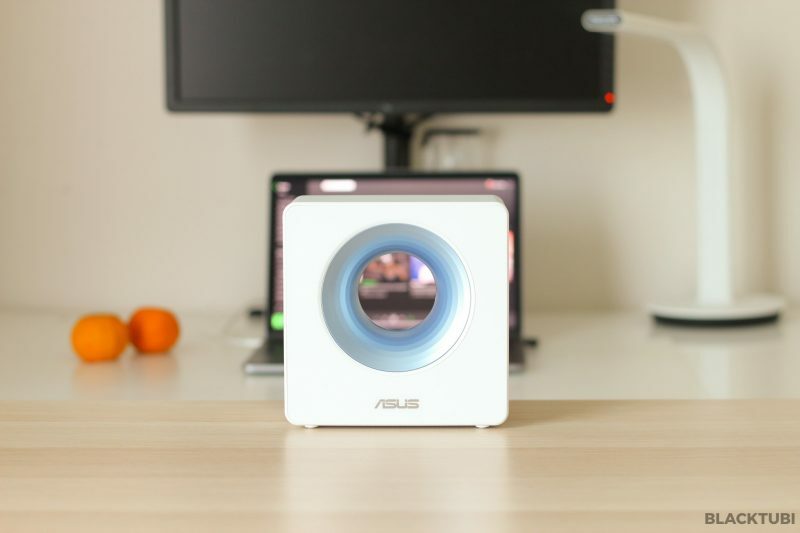 ASUS Blue Cave features AiMesh, ASUS mesh wireless technology which lets their routers to work with each other to form a mesh network. 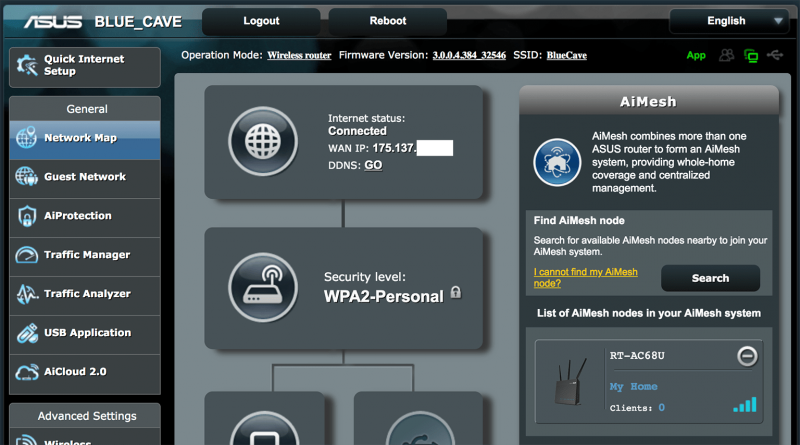 This means if you own an older ASUS router which support AiMesh, it can work with the Blue Cave to make the WiFi coverage even better. Unlike WiFi repeaters, mesh WiFi will be more stable and your devices can roam to another router faster with the help of the software. ASUS Blue Cave also features AiProtection Pro, ASUS complete suite of router antivirus and firewall solution. This feature is powered by TrendMicro which is a rather well known cyber security firm. 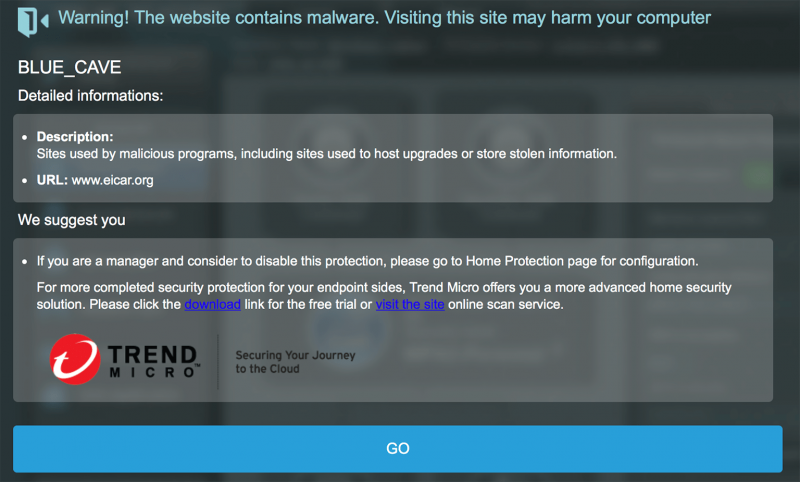 This feature works by blocking your devices from connecting to a server containing virus or malware based on TrendMicro’s database. We tested with some known infected servers and it does what it is intended to effectively. The router will block the website and show a warning message telling you that the website is harmful. ASUS Blue Cave features a USB port which lets you to share files on the network. The USB performance is pretty decent on our speedtest. The USB port also supports printer sharing and USB 4G modem for Internet connectivity. ASUS Blue Cave supports Unifi Turbo up to 800Mbps. All ASUS routers are Unifi compatible with HyppTV supported. We followed the built-in setup guide which is really simple. You can refer to our ASUS Unifi setup guide here. We are not joking when we say this router have really good signal coverage. ASUS Blue Cave WiFi coverage is really powerful in covering our entire apartment. I would compare the coverage similar to ASUS own RT-AC5300. The router is also really good in maintaining the performance at longer distances as we manage to clock really good speed as it gets further. We tested this wireless router with a Macbook Pro which comes with an AC1200 wireless receiver. This wireless receiver is expected to peak at around 600Mbps at close distance. 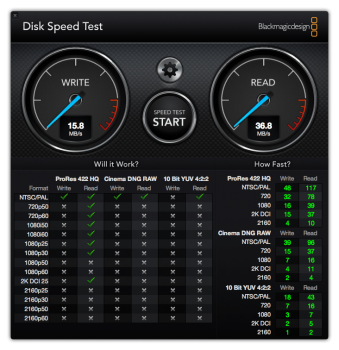 We then tested the router with Ookla’s Speedtest.net in 2 locations. The results are really impressive, clocking at over Mbps at close distance. On longer distance, the Blue Cave still delivers an impressive speed of around Mbps. 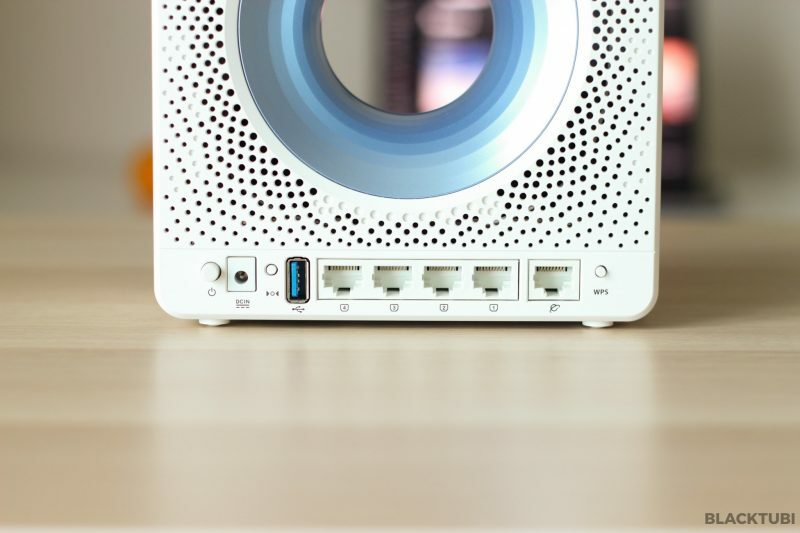 One thing we always wish our readers to know is not all routers are built equal. An AC2600 wireless router with a better designed antennas and circuitry can outperform an AC5300 wireless router. This is why we always test the speed of the routers to see how well they perform. There are a lot of factors in play such as firmware optimization and hardware design. ASUS Blue Cave performs really well in terms of coverage and speed. Despite having no visible antennas, the WiFi performance is really amazing. It performs neck to neck against other more expensive wireless routers such as ASUS own RT-AC5300. We also like ASUSWRT firmware a lot as it is very easy to use and comes with plenty of features and customization. 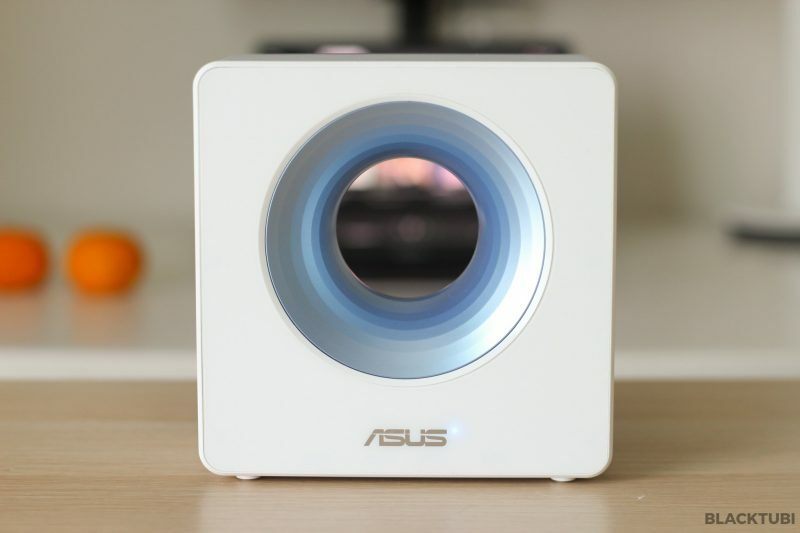 We recommend ASUS Blue Cave due to the really good WiFi performance. It is probably the best router in ASUS lineup currently due to the affordable price for the performance it delivers. 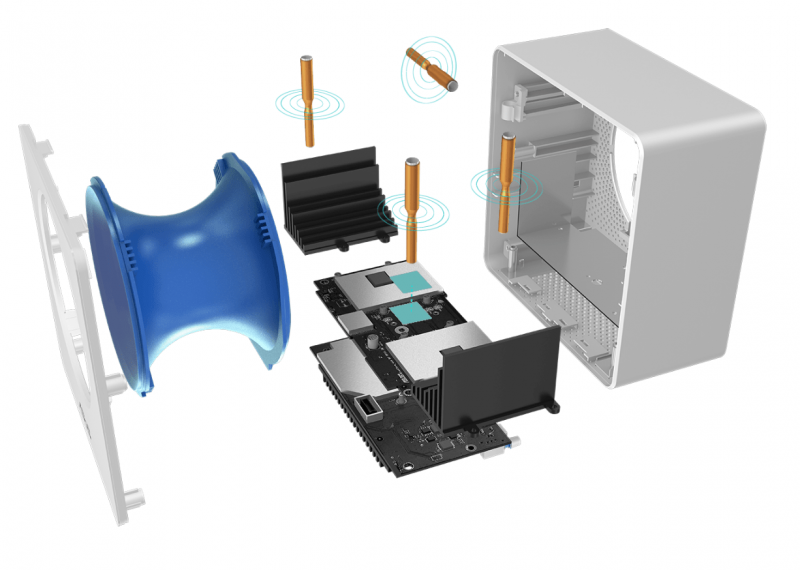 Despite having no visible antennas, the router delivers exceptional WiFi coverage. Thank you for your reply. Yes, old pc is the factor of limiting the download speed after checked pc’s specification. Compare to tp 1200ac, blue cave’s connection is stable and large coverage. Thank you all the posts that you had wrote here, they are useful and informative. 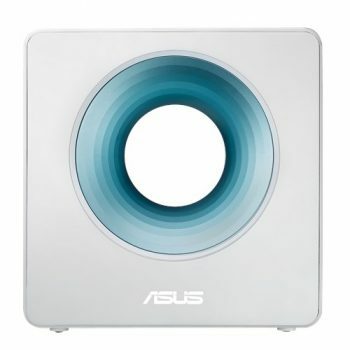 I just replaced tp 1200ac with asus blue cave. Setup is done and able to connected to internet. However, the download speed for blue cave is not sufficient improve, extra 50-70 mbps, 304 mbps (referring to late 2012 imac, highest on 5G). Tp 1200ac: 290mbps, Blue cave: 345mbps. ISP package is 500mbps, Unifi-Home. The cable used to connect BTU (Huawei model) with BlueCave is same as previous tp 1200ac. Cable type is should cat 5 or 5e. Blue cave firmware version: 3.0.0.4.384_45149-g467037b (Latest version). My question is possible to get download speed up to 450mbps? I think that is the best you can get on your 2012 iMac unless you found some ways to upgrade the AirPort card inside. Not to mention that the old CPU may bottleneck the connection speed as well. Still a sizable ~20% improvement considering the Blue Cave is a lot more stable. Can it support a large house like ac1300uhp, specifically double storey semi d house? The Blue Cave is much better than the RT-AC1300UHP despite the no visible antenna design. Will Blue Cave support HyppTV? Yes, Asus Blue Cave fully supports HyppTV.